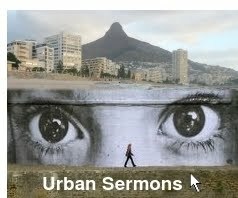 I have seen more than ten years in suburban ministry and more than twenty in urban ministry. People ask me what the difference is. This answer is anecdotal. There is a lot more "wear and tear" in urban ministry. In suburban ministry I was never assaulted -- in urban ministry I was assaulted about ten times. In suburban ministry I received one threat -- in urban ministry, I estimate more than one hundred. In suburban ministry, there were no major disruptions to Sunday services -- in urban ministry, about twenty. In suburban ministry, we had about five cases of vandalism or theft -- in urban ministry well over a hundred. In suburban ministry, the minister received no legal demands -- in urban ministry there were about a dozen -- most of them based on the assumption that a minister is a CEO. OBSERVATION: Someone said, when I once shared this: "See how God was with you!"